For the twelfth year, the International Researcher’s Consortium will host a workshop at the annual College Conference on Composition and Communication (CCCC) conference located in the U.S. We are inviting brief proposals for up to twenty-four researcher-participant roles focused on international or transnational research about writing in higher education from all over the world (see details below about what this might include). By research, we mean a project with a focused research question, an identified methodology (qualitative, quantitative, ethnographic, historical, discourse analysis, corpus, etc), and the collection of data in some form. This research can be at any stage and does not need to be final. Your role in the workshop would be to provide a draft text about the research by the end of December 2019, to read the other workshop facilitators’ texts before attending the CCCC conference, and to participate in the day-long workshop by leading a discussion about your project and participating in discussions of a subset of others’ projects. We know that researchers around the world are interested in finding sites for serious cross-national conversation that includes multiple research traditions. This workshop is designed to make space available for extended time to read, process, think through, and discuss in detail each other’s work at the College Conference on Composition and Communication, March 25-28, 2020, in Milwaukee, Wisconsin. See the overall conference Call for Proposals theme here. Though your research is not required to connect to conference themes, this year’s theme is about inclusivity, tradition, innovation and the commonplace. We see this kind of workshop as a form of “inclusivity,” a means of articulating the commonplace to become more aware. Making research about writing connect across cultures, higher education systems and languages is an activity that pushes the boundaries of tradition and enables inclusivity. It leads to the creation of many different kinds of texts and informs our future scholarly and praxis-based efforts toward inclusivity. Join us April 26-27 in beautiful Yakima, Washington for the 2019 joint conference of the Pacific Northwest Writing Centers Association / Two-year College English Association of the Pacific Northwest. The extended deadline for proposals is December 21. PNWCA has some scholarship funding for tutors to attend and share their work — check out the www.pnwca.org website for more details. Please reach out to us with any questions. The Call for Proposals can be found here: http://pnwca.org/joint-conference-2019-cfp. We’re looking forward to reading your proposals! We are excited to share the CFP for our annual Canadian Writing Centres Association Conference, which will take place at the Emily Carr University of Art + Design on May 30 and 31, 2019 in Vancouver, British Columbia. Our theme this year is “The Writing Centre Multiverse,” and we welcome proposals that explore how Writing Centres navigate, respond to, and negotiate the multiverse we all inhabit – in our spaces, our practices, and our research. The University of Colorado Denver, Metropolitan State University of Denver, and Community College of Denver are pleased to host the 2019 Tutor Con, a joint conference of the Colorado and Wyoming Writing Tutors Conference (CWWTC) and the Rocky Mountain Writing Centers Association (RMWCA). The theme for the 2019 Tutor Con is “Interdisciplinarity, Diversity, and Collaboration.” The conference begins on February 15, 2019, with interactive workshops both for tutors/consultants and professionals/administrators. On February 16, 2019, Dr. Tobi Jacobi, Director of the Center for Community Literacy, Research and Outreach in the Department of English at Colorado State University, will deliver the keynote address before a full day of presentations and special sessions. The deadline for registration is January 18, 2019. Learn more at either cwwtc.org or rmwca.org. Contact the conference chair at Justin.Bain@ucdenver.edu. 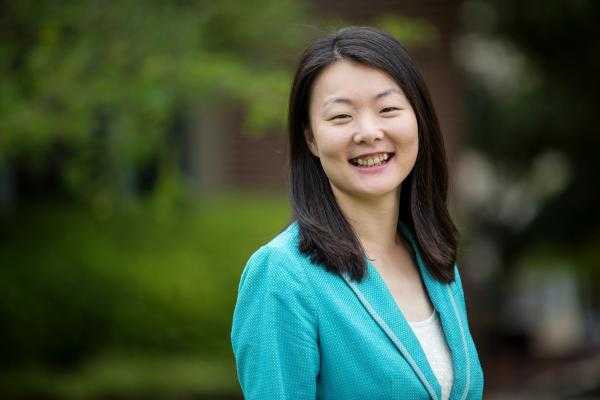 Lingshan Song is the Assistant Director of the Writing Center at Mississippi College (MC). She also teaches freshmen composition courses and the tutor training course at MC. Her research interests include writing center theory and practice, ESL tutoring, cultural studies, and international collaboration. Her ongoing research projects involve advocating for writing centers in China and supporting writing center establishment there. Lingshan also serves as Outreach Coordinator on the Southeastern Writing Center Association (SWCA) board, TESOL Representative for the Association of Christians in Writing Centers (ACWC), Secretary of Mississippi Writing Centers Association, and Member for the International Symposium of English Writing Center in Chinese Universities planning committee. While writing centers have a long history in American academia and are well established in the U.S., in the past decade, writing centers have just started revealing their values to higher education institutions in China. In the past twelve years, from 2006-2017, a batch of Chinese higher institutions have started writing centers to provide tutoring for English writing. Another important step in writing center development was the inaugural conference of Writing Center Association of China, held from June 9-11, 2017 in the Sino-British university, Xi’an Jiaotong Liverpool University, located in Suzhou, China. With the exciting progress of building writing centers in China, there is yet to be a study about existing writing centers in China and their contributing elements commonly observed. In other words, how did these writing centers get started? What elements are essential to their establishment? I conducted preliminary research from September to November 2017, aiming to investigate existing writing centers in mainland China and discover commonalities among them and explore possible models for future writing center establishments in China, considering local adaptations. Save the date! Mark your calendars! The Southern California Writing Centers Association invites proposals for our 2018 Tutor Conference. The theme for this year’s conference is “Connecting with Purpose.” Connections are central to writing center work: between tutor and student, between concept and execution, and across genres, disciplines, and departments. This year’s conference asks us to question and confirm these connections. The conference organizers intend for participants and presenters to leave with new or renewed connections to each other, and to the meaning and value of their writing center work. What is the purpose of a writing center in facilitating connections across campus—connections around service, scholarship, support, learning, advocacy, development, professionalization? How can tutors help facilitate students in making their own connections between current and future writing projects? Who are we connecting with when we involve ourselves in supporting writers and promoting literacy education outside the classroom? Are there types of connections that writing centers should resist fostering? Or seek to promote? As always, this conference is by tutors, for tutors. Therefore, we seek proposals for highly interactive 50-minute conference sessions (10 minutes of presentation, 40 minutes of interaction) that seek to investigate, reimagine, and/or rediscover the purpose(s) of writing center work. After giving a short framing presentation (approx. 10 minutes) on research or ideas related to the theme, presenters will engage the audience in activities or discussion to collaboratively explore the issue. The conference will close with a community hour for further sharing and conversation. Writing Center Administrators: During the tutor conference, SoCal writing center administrators will engage in a parallel meeting featuring presentations by and discussions with other writing center professionals. Registration, lunch, and community hour will offer opportunities to connect back with tutors. 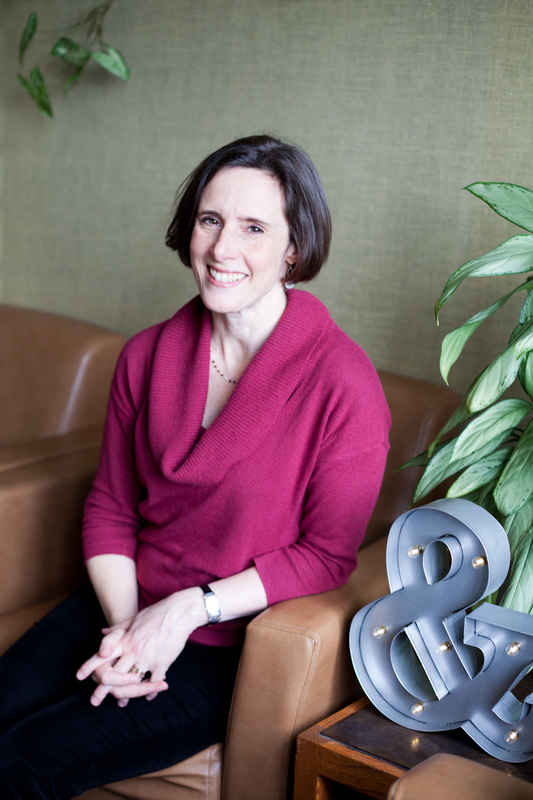 Editor’s Note: I chatted with Dr. Julie Christoph, the chair of this year’s National Conference on Peer Tutoring in Writing (NCPTW), about her work, the theme of this year’s NCPTW, and what we can expect from the conference. The NCPTW will take place November 4-6 at the University of Puget Sound in Tacoma, Washington. Interested in submitting a proposal? You can find a link to the CFP at the bottom of this post! Hi Julie! Can you tell us about yourself and your work? I’m currently Professor of English and Director of the Center for Writing, Learning, and Teaching at the University of Puget Sound, which is a small liberal arts college in Tacoma, Washington. I developed my love for writing centers as an undergraduate writing center tutor at Carleton College, and I later went on to do my doctoral work in Rhetoric and Composition at the University of Wisconsin-Madison, where I taught in the writing center and also served as an early assistant director of the Undergraduate Writing Fellows Program. Though writing centers are what brought me to the field of writing studies, my position as writing center director is relatively new. I have spent most of my career teaching courses in writing, rhetoric, and culture in the English department; consequently, my research agenda is eclectic. My primary area of research explores what is personal to writers about their argumentative writing: how does a writer as a living, breathing person appear on the pages of academic writing? How do writers’ personal histories, predilections, and prejudices enter into their academic writing? To what extent are writers able to be transparent about their personal history and biases in their writing—and to what extent do readers’ responses to writing exceed the limits of what writers have knowingly represented about themselves? As my teaching load has evolved into the writing center, I’ve increasingly moved toward thinking about writer identity in the writing center, and I’m going to be spending part of my sabbatical next year in at Goethe University in Germany doing a contrastive study with some writing center colleagues there. The theme for this year’s conference is “It’s for Everyone: The Inclusive Writing Center.” Can you tell us about how this theme was chosen? The theme of this year’s NCPTW is an extension of work we’ve been doing at the University of Puget Sound’s writing center (or, more accurately, the Center for Writing, Learning, and Teaching). As is the case throughout higher education, our enrollment demographics are changing. Our campus is becoming more racially, economically, and neurologically diverse, and we’ve been making concerted efforts to adapt and change our writing center to meet the needs and interests of our students. We are inviting brief proposals for up to twenty-four researcher-participant roles in a U.S. College Conference on Composition and Communication (CCCC) workshop focused on research about writing in higher education outside of the U.S.
We know that researchers around the world are interested in finding sites, physical and figurative, for serious cross-national conversation that includes multiple research traditions. For the eighth year, we are planning to propose a workshop that (if accepted) will take place at the annual CCCC conference. The conference next year is in Tampa, Florida, US, from March 18-21, 2015. The workshop is tentatively titled Deep Rewards and Serious Risks in International Higher Education Writing Research: Comfort Zones and Contact Zones. This workshop, along with the exchanges we have before meeting at the conference, is designed to make space available at the CCCC conference for extended time to read, process, think through, and discuss in detail each other’s work. We have learned, through seven previous workshops and other international exchanges, that we all need this kind of time for real exchange, given that we come from different linguistic, institutional, political, geographic, theoretical and pedagogical places. We want to engage researcher-participants from many countries and research traditions in an equal exchange dialogue, learning from each other: the primary focus is on the writing research itself. The research can be focused on teaching or studying writing in any language. We are willing to help with translation of a text into English as needed, if the paper is accepted for the workshop. The brief proposal should describe a research project you would be interested in sharing with other facilitators and participants. It can be completed or in process. By research, we mean a project with a focused research question, an identified methodology (qualitative, quantitative, ethnographic, historical, discourse analysis, etc), and the collection of data in some form. The project should be “international” for a U.S. audience, by which we mean (*only* for the purposes of this U.S. call!!) carried out by either scholars in countries other than the U.S. or scholars collaborating deeply across borders, including U.S. borders, in any language. Your role in the workshop would be to provide a draft text about the research by the end of December 2014, to read the other facilitators’ texts before attending the CCCC conference, and to participate in the day-long workshop by leading a discussion about your project and participating in discussions of a subset of others’ projects. 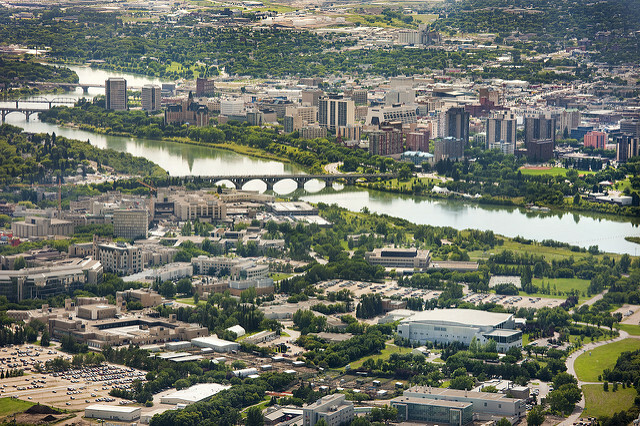 View the 2014 Workshop Proposal to get an idea of what the overall proposal will look like. We’ve included the titles from last year’s workshop to give you an idea of the kinds of work we’ve exchanged in past sessions. We will send out a draft of the 2015 overall proposal when you send in your project description. You will be welcome to suggest changes to the overall proposal at that point. You may notice that the proposal is written with a U.S. readership in mind–this is because the proposal review committee is comprised primarily of U.S. scholars. We seek to convince this audience that many CCCC attendees have much to learn from writing research in traditions other than the ones they find most familiar–that writing research needs multiple perspectives from multiple contexts and traditions. We also know how critical it is for all scholars to be directly engaged with projects and research models from multiple research traditions. Please submit your proposal by April 25th. The International Workshop Proposal Template includes the questions you will need to answer as you prepare your proposal. This proposal can be quite informal (it serves to help us determine appropriate projects, and only the title will appear in the program), so please feel free to send something along. We strongly encourage you to submit a proposal to the CCCC as individual presenters, as well. The CCCC format does allow individuals to present at both a workshop and a concurrent session (it does not allow individuals to present at more than one concurrent session). Thank you! Please write with any questions at all. We cordially invite you to the 2014 EWCA conference at the European University Viadrina in Frankfurt (Oder)/Germany. Proposals are due by January 15! The conference lingua franca will be English. However, please feel free to offer your sessions also in Polish, French or German. Please find the call for papers at the conference homepage: www.ewca14.eu. We are looking forward to meeting you in July 2014! The one and a half day symposium “Supporting English Writing Competencies: The Role of Writing Centers in Second Language Learning” at Leuphana University, Lüneburg, March 27-28, 2014, focuses on different organizational structures for L2 writing support within European universities and provides the opportunity for professionals to exchange L2, and particularly English composition teaching practices. We will provide a forum for writing center personnel (professional staff and students tutors/consultants), lecturers and faculty in foreign language departments, lecturers and faculty who teach in English or other languages in an L2 context, non-university affiliated second language specialists, university administrators and staff, and those interested starting a writing center. We particularly invite colleagues who address writing competencies in L2 contexts other than English. · Navigating discipline-specific writing conventions such as those found in the natural sciences, social sciences, business, etc. As writing centers grow in the MENA region, questions emerge not only about how to sustain and develop them but also about how they can serve as model centers. What strategies can and should regional writing centers adopt in order to establish a solid presence within institutional frameworks? How can peer tutors, international collaborations, local/regional research initiatives drive the momentum? What alliances within or across academic institutions strengthen writing center continuity and support? What technological initiatives, including use of mobile devices, influence our effectiveness with student writers and as we network with other centers? What theories and practices that grow out of local contexts can promote writing center work both within the MENA region and with other local, regional, and international writing forums? This conference aims to identify multi-faceted variables that promote the sustainability of writing programs, writing centers, and most importantly the dialogue between writers. The MENAWCA invites students, teachers and other professionals who support student writers to its biennial conference, November 7-8, 2014 at the Canadian University in Dubai. 2013 NEWCA Call for Proposals!